Only one week left until our event with Europe on Track starts! As we announced a few weeks ago, AEGEE-Dresden will be hosting local for this year’s edition of Europe on Track. From the 16th until the 18th of May we will be hosting three awesome ambassadors who will give workshops on civic education in Dresden! Jorge, Rut and Dima have been travelling through Europe for quite a while and delivering awesome workshops to many people. They are constantly sharing their unique experiences on their blogs and social media channels. Now we are waiting for them to come to Dresden! Their work will start on the 17th of May at the Dies Academicus of our university. You’ll get the chance to meet them and exchange ideas about civic education and the Europe you wish for the future. In addition, we have prepared a cool quiz for you! 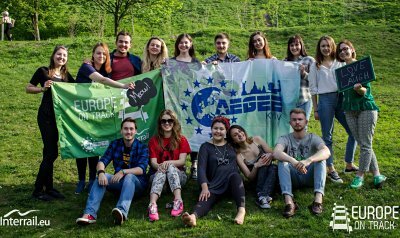 You’ll learn more about AEGEE, Europe on Track and interesting facts about Europe. Sounds good to you? Then don’t hesitate to look for the AEGEE stand on the HSZ Wiese and join the quiz! The next day, the ambassadors and our team will visit a local high school and teach the students about EoT, civic education and fake news. We aim at training them how to handle media correctly, to question the news and be more aware of their media use. Our amazing ambassadors after delivering a workshop on fake news to a class. 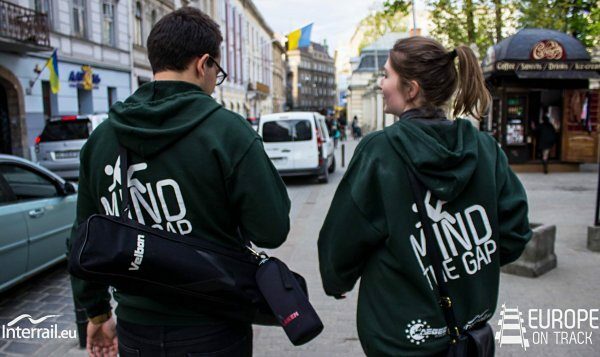 You can follow the ambassadors on their journey here. You can’t wait to meet them? Join our facebook event here and don’t miss the updates anymore. We are already excited to see many of you on the 17th of May! Don’t miss the chance to talk about the Europe you want for the future! Always dressed to impress. Mind the Gap is this year’s motto of Europe on Track.